As a Council, we have spent most of 2018 talking to people about what’s important to them and discussing amongst ourselves how this translates into the work we do at the City. To help us get to this point, we undertook robust public engagement on both the plan and the 3-year budget and began work to review our public transit system, which is still underway, and a cycling strategy. In 2018 we launched our 10-year Affordable Housing Strategy knowing that these things matter to our residents and are key to making St. John’s a good place to live for everyone. We know that our demographics are shifting and that our city is becoming more diverse. We see that every day in the way people use our programs and services and how we need to prepare to deliver them. As an organization, we need to stay focused on our service delivery, continuing to do things better, providing good value for tax dollars. This is what the public expects of us and we are committed to being open, accessible and engaging as we do our work. We know that our economy has shifted since our last strategic plan which is why we decided to start working on a new economic development plan which you will see coming out later this year. That said, we have recognized in this new strategic plan the importance of the economy and the Downtown. We see changing conversations about our environment and the concerns people have with climate change and energy use. We have focused on these areas in our new strategic plan and will be initiating our sustainability plan and several initiatives to enhance our wetlands, or storm water management and land use planning. 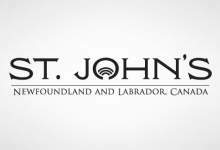 We know that people have good quality of life here in St. John’s and make excellent use of our trails, our beautiful parks, and our recreation programs and services and we need to continue to provide programs and services and creates spaces and places that help people stay connected and actively engaged with the city. People care about their place and take pride in where they live. We know that people want to be able to connect with each other and the City and that those connections help create the cohesion and sense of belonging people need to be rooted to their place, to feel good about where they live and have a sense of home. We have a direction in this plan focused on helping foster this connection. We also heard clearly from people that we need to focus more on how they move around the city; they want to do it safely regardless of how they do it. This new plan outlines a direction focused on our public transportation system, our road network and active transportation. We want to have a balanced transportation network to get people and goods where they want to go safety. We also reframed our approach to our plan because we want to talk more about what we are doing and how it helps us create the City we all want. The directions in this plan are intended to be used for the next ten years, our goals will be revisited with each term of Council so that we can modify or adjust based on emerging priorities or the changing landscape. Every year, we will bring forward a list of strategic initiatives we are focused on and keep our stakeholders engaged and involved in the work. This is Our City, Our Future and we want to work together to build a city that is sustainable today and in to the future. Our goals outlined in the plan will drive our annual strategic initiatives which is why I am happy to also bring forward a comprehensive list of the strategic action items we will focus on for 2019. Again, this list has been developed in consultation with staff and checked against what we aim to accomplish through the strategic plan. The 2019 Action Plan outlines 52 initiatives we will focus on for this year to help achieve those goals and drive the directions. You will see and hear a lot more about these as we continue to deliver on this work.